Law Web: What is distinction between power of civil court and arbitrator regarding grant of injunction? The dispute in between the parties arising out of an arbitration agreement would also come within the purview of the expression "decree' when it was adjudicated by a civil court. But, if it was adjudicated by the Arbitral Tribunal or the Arbitrator, it would be an award and not a decree as defined under Section 2(2) of the Code of Civil Procedure, though it may be a deemed decree for the purpose of execution. The difference is that the decree passed by a civil court would be a decree in persona or a decree in rem. A decree of declaratory relief granted would be a decree in rem (judgment in rem). The Arbitral Tribunal or the Arbitrator did not have any authority or jurisdiction to pass any award in rem (judgment in rem) like in the case of a decree in rem or judgment in rem of a civil court. The expression "award" means the amount of money that a court decides should be given to someone who has won a case; the decision to give money; to make an official decision to give something to someone as a payment, prize, etc. (See Oxford Advanced Learner's Dictionary, A.S. Hornby, 7th Edition.) The expression "award", n. is defined as a final judgment or decision, especially, one by an arbitrator or by a jury assessing damages. (See Black's Law Dictionary, Eighth Edition.) The expression should be understood in its plain legal meaning and the Arbitral Tribunal or the Arbitrator is expected to pass only an award as envisaged under the provisions of the Act. In other words, when there is a suit which was filed for an adjudication of a dispute other than payment of money or questions involving payment of money or settlement of account, there cannot be an application of the provisions contained in the Act, including Section 8 to refer the parties for arbitration or for appointment of an Arbitrator for deciding the issue in dispute. The matters which are amenable for an award alone can be referred under Section 8 of the Act. This makes the difference in the position of law applicable to the civil court and the Arbitral Tribunal or the Arbitrator, as envisaged under the Act. So, the matters which would require a decree in rem or judgment in rem like in the case of declaration of title of immovable property or a status of a person cannot be referred for arbitration as there is complete lack of jurisdiction either with the Tribunal or with the Arbitrator, as the case may be, under the Act. 17. A reference of a matter for arbitration which requires a judgment in persona or decree in persona further stood as again restricted by the application of Sections 38 and 39 of the Specific Relief Act and no decree of perpetual injunction or mandatory injunction (decree in persona) can be granted by the Arbitral Tribunal or Arbitrator under the Act. 18. 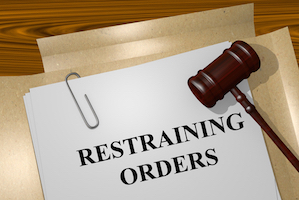 Order XXXIX Rules 1 to 3 of the Code of Civil Procedure deals with exercise of power to grant or refuse interim order of either mandatory or prohibitory injunction. The very same power is also vested with the Arbitral Tribunal under Section 17 of the Arbitration and Conciliation Act. But, that does not mean that the Arbitral Tribunal has jurisdiction to pass a decree of permanent prohibitory injunction or mandatory injunction or a decree of declaration of title of immovable property or status of a person. So, a suit either for declaration of title, declaration of right or interest over immovable property, declaration of status of a person, for a decree of permanent prohibitory injunction or a decree of mandatory injunction are not amenable to any of the provisions contained in the Arbitration and Conciliation Act, 1996, including Section 8 of the Act and hence revision fails. Shriram Transport Finance Co. Ltd. Vs. Naduvacheri Balakrishnan and Ors. 1. The third defendant came up with this Revision, aggrieved by the order dated 6.12.2012 in I.A. No. 2598 of 2012 in I.A. No. 1631 of 2012 in O.S. No. 256 of 2012 on the file of the Munsiff's Court, Thalassery. 2. The said application was filed under Section 8 of the Arbitration and Conciliation Act, 1996, (for short 'the Act') for referring the parties to arbitration, based on an arbitration clause in an agreement. It was admittedly filed within the time available for submitting the first statement by the respective defendants. Along with the application, the arbitration agreement was also produced. The lower court has rejected the application mainly on the reason that the first defendant is not a party to the arbitration agreement and hence it is not binding on him. The petitioner relied on the decision in Aerents Goldsouk International Ltd. v. Parthas Textiles (MANU/KE/1810/2011 : 2012 (1) KLT 515) in support of the argument that even in the absence of an arbitration clause operating between all parties to the suit, a reference under Section 8 of the Arbitration and Conciliation Act is possible to the extent of arbitration clause which is binding on some of the parties to the suit and for that purpose, it can be referred and the adjudication of the dispute between the other parties can be done after answering the arbitration and that the lower court has not exercised its jurisdiction based on the legal position settled by the said decision. 3. Before going into the said question, it is relevant to consider whether the reliefs sought would come under the purview of perpetual injunction and mandatory injunction dealt with under Sections 38 and 39 of the Specific Relief Act and whether the hit under Section 41 of the said Act would come into play. "a) To issue Mandatory injunction directing the 1st defendant to clear the finance amount due to 2nd defendant which 1st defendant has taken in plaintiff's name and also direct the 2nd defendant to collect the finance amount from 1st defendant, which 2nd defendant issued in plaintiffs name by a Mandatory injunction. b) To issue permanent Prohibitory injunction restraining the 2 to 4 defendants from realizing the finance amount from plaintiffs. d) Such other reliefs as the court deem fit to grant under the circumstances of the case." 5. The first prayer is to issue a mandatory injunction directing the first defendant to clear the amount due to the second defendant. It amounts to seeking a decree by the plaintiffs in favour of the second defendant against the first defendant for recovery of money. It would prima facie show the manner in which the plaintiffs have moulded the reliefs sought for in the plaint. In other words, the plaintiffs are seeking a decree for the second defendant for recovery of the amount due from the first defendant under the guise of a mandatory injunction. The relief sought by way of mandatory injunction further shows that the plaintiffs are also seeking another relief for a declaration that the said amount was taken in the name of the plaintiffs. It is not permissible to mould a relief incorporating several reliefs governed by different fields, though based on same cause of action. A conjoint reading of Rules 7 and 8 of Order VII of the Code of Civil Procedure would show that the reliefs resting on distinct claims or cause of actions founded up on separate and distinct grounds should be claimed separately and distinctly, as far as possible, and it is not permissible to mix up the same so as to bring together in one or two reliefs. The reliefs sought should be specific, clear and unambiguous and should be capable of ascertaining on what claim and grounds raised in the plaint, it really rests. "39. Mandatory injunctions.-- When, to prevent the breach of an obligation, it is necessary to compel the performance of certain acts which the court is capable of enforcing, the court may in its discretion grant an injunction to prevent the breach complained of, and also to compel performance of the requisite acts." A mandatory injunction can be granted only when there is breach of an obligation or for compelling performance of certain acts which is enforceable. The prayer for mandatory injunction directing payment of certain amounts to one of the defendants by another defendant will not come under the purview of Section 39 of the Specific Relief Act. "38. Perpetual injunction when granted.--(1) Subject to the other provisions contained in or referred to by this Chapter, a perpetual injunction may be granted to the plaintiff to prevent the breach of an obligation existing in his favour, whether expressly or by implication. (2) When any such obligation arises from contract, the court shall be guided by the rules and provisions contained in Chapter II. (d) where the injunction is necessary to prevent a multiplicity of judicial proceedings." 8. No decree of permanent injunction can be granted restraining any person from realizing any amount from the plaintiffs as it is barred under Section 41(b) of the Specific Relief Act. This would show that the plaint as drafted and the reliefs as moulded therein, prima facie, will not stand. 9. The other two questions that would arise for consideration are: (1) whether it is proper to refer a dispute wherein the relief sought is only for the grant of permanent prohibitory injunction or mandatory injunction or for declaration of title over immovable property; and (2) whether the Tribunal or Arbitrator, as envisaged under the provisions of the Arbitration and Conciliation Act, 1996, is competent to usurp the jurisdiction of a civil court for granting a decree of declaration of title or decree of permanent prohibitory injunction or decree of mandatory injunction. 10. The said questions are simply resting on another question, whether it is permissible to pass an 'award' by way of a decree of permanent prohibitory injunction, a decree of mandatory injunction or a decree declaring title, interest or right over immovable property or status of a person, other than a decree by a civil court. 11. The main object of the Act is to make provision for an arbitral procedure which is fair, efficient and capable of meeting the needs of the specific arbitration and to minimise the supervisory role of courts in the arbitral process. The Act permits an Arbitral Tribunal to use mediation, conciliation or other procedures during the arbitral proceedings in settlement of disputes, etc. (See Bharat Sewa Sansthan v. Uttar Pradesh Electronics Corporation Limited (MANU/SC/7872/2007 : AIR 2007 SC 2961). "The Act applies to domestic arbitrations, international commercial arbitrations and conciliations. The applicability of the Act does not depend upon the dispute being a commercial dispute. Reference to arbitration and arbitrability depends upon the existence of an arbitration agreement, and not upon the question whether it is a civil dispute or commercial dispute. There can be arbitration agreements in non-commercial civil disputes also." "1. Does the arbitration agreement fall under the scope of the Convention? 2. Is the arbitration agreement evidenced in writing? 3. Does the arbitration agreement exist and is it substantively valid? 4. Is there a dispute, does it arise out of a defined legal relationship, whether contractual or not, and did the parties intend to have this particular dispute settled by arbitration? 5. Is the arbitration agreement binding on the parties to the dispute that is before the Court? 6. Is this dispute arbitrable?" The question whether the dispute is arbitrable is also a relevant factor to be looked into when exercising the power under Sections 8 and 45 of the Act. (b) any order of dismissal for default. (9) "judgment" means the statement given by the Judge on the grounds of a decree or order;"
15. The decree as defined under Section 2(2) of the Code of Civil Procedure would intake rejection of a plaint and determination of any question within Section 144 CPC, but no such power is vested with the Arbitral Tribunal or Arbitrator under any of the provisions contained in the Act and this would be one of the differences in the exercise of jurisdiction while passing a 'decree' and an 'award' by the respective competent authorities. 16. The dispute in between the parties arising out of an arbitration agreement would also come within the purview of the expression "decree' when it was adjudicated by a civil court. But, if it was adjudicated by the Arbitral Tribunal or the Arbitrator, it would be an award and not a decree as defined under Section 2(2) of the Code of Civil Procedure, though it may be a deemed decree for the purpose of execution. The difference is that the decree passed by a civil court would be a decree in persona or a decree in rem. A decree of declaratory relief granted would be a decree in rem (judgment in rem). The Arbitral Tribunal or the Arbitrator did not have any authority or jurisdiction to pass any award in rem (judgment in rem) like in the case of a decree in rem or judgment in rem of a civil court. The expression "award" means the amount of money that a court decides should be given to someone who has won a case; the decision to give money; to make an official decision to give something to someone as a payment, prize, etc. (See Oxford Advanced Learner's Dictionary, A.S. Hornby, 7th Edition.) The expression "award", n. is defined as a final judgment or decision, especially, one by an arbitrator or by a jury assessing damages. (See Black's Law Dictionary, Eighth Edition.) The expression should be understood in its plain legal meaning and the Arbitral Tribunal or the Arbitrator is expected to pass only an award as envisaged under the provisions of the Act. In other words, when there is a suit which was filed for an adjudication of a dispute other than payment of money or questions involving payment of money or settlement of account, there cannot be an application of the provisions contained in the Act, including Section 8 to refer the parties for arbitration or for appointment of an Arbitrator for deciding the issue in dispute. The matters which are amenable for an award alone can be referred under Section 8 of the Act. This makes the difference in the position of law applicable to the civil court and the Arbitral Tribunal or the Arbitrator, as envisaged under the Act. So, the matters which would require a decree in rem or judgment in rem like in the case of declaration of title of immovable property or a status of a person cannot be referred for arbitration as there is complete lack of jurisdiction either with the Tribunal or with the Arbitrator, as the case may be, under the Act. The Civil Revision Petition is dismissed. No order as to costs.